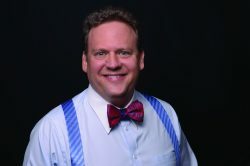 William Bronchick is a nationally known attorney, author, and public speaker. He has trained people all over the country to become financially successful. He has shared the stage with names such as Rudy Giuliani, Steve Forbes, and Colin Powell. He has appeared on CNN, CSPAN and CNBC, and has been quoted by publications such as Time, Forbes, USA Today, and The Wall Street Journal. He is the co-founder of the Colorado Association of Real Estate Investors and the Executive Director of the College of American Real Estate Investors. Bronchick is a member of the Colorado and American Bar Associations.